"It would seem, then, that all mediation is remediation. We are not claiming this as an a priori truth, but rather arguing that at this extended historical moment, all current media function as remediators and that remediation offer us a means of interpreting the work of earlier media as well. Our culture conceives of each medium or constellation of media as it responds to, redeploys, competes with, and reforms other media. In the first instance, we may think of something like a historical progression, of newer media remediating older ones and in particular of digital media remediating their predecessors. But ours is a genealogy of affiliations, not a linear history, and in this genealogy, older media can also remediate newer ones. Television can and does refashion itself to resemble the World Wide Web [p.189], and film can and does incorporate and attempt to contain computer graphics within its own linear form. [p.153] No medium, it seems, can now function independently and establish its own separate and purified space of cultural meaning." David Bolter and Richard Grusin (2000). Mediation and Remediation. "Remediation: Understanding New Media", The MIT Press. "With a final dollop of blood splatter sploshing across the plasma TV, Series One of BBC's visceral police drama Ripper Street came to a crashing finish on Sunday night! 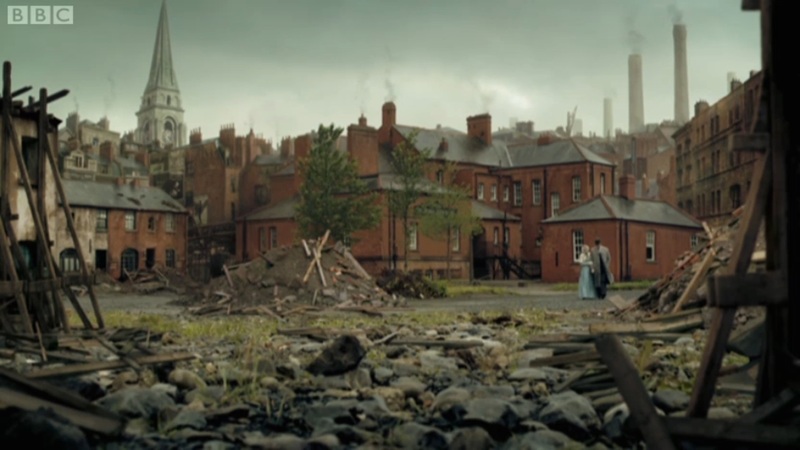 Screen Scene VFX completed all the visual effects work on Ripper Street's first season, and are proud to share this fantastic breakdown/making of video showing you how they weaved their inimitable brand of wizardry to make Dublin look like Victorian London." "Interstitials can therefore be found within programmes as well as around them. They constitute a class of television output rather than a genre. They consist of messages or declarations addressed to the viewer from outside the diegetic worlds of fiction or the discourses of news, documentary and factuality. 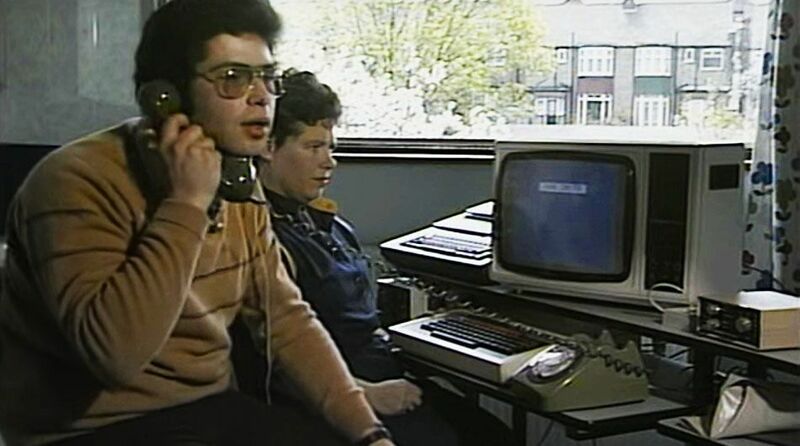 They consist of metadata about both the programme of the moment and the future plans of the broadcaster. They bring together the past and future of broadcasting within its present moment. In addition to this metadata function, other forms of interstitial come from agencies beyond the world of broadcasting who are given conditional access to broadcasting: the advertisers, the sponsors and the government in the form of its public service announcements. This is a whole class of television output: heterogeneous, but occupying a distinct position in relation to the other class of television that is programmes of whatever genre. Sometimes interstitials overlap with or invade programmes. Interstitials make up a class that we have to learn to distinguish. 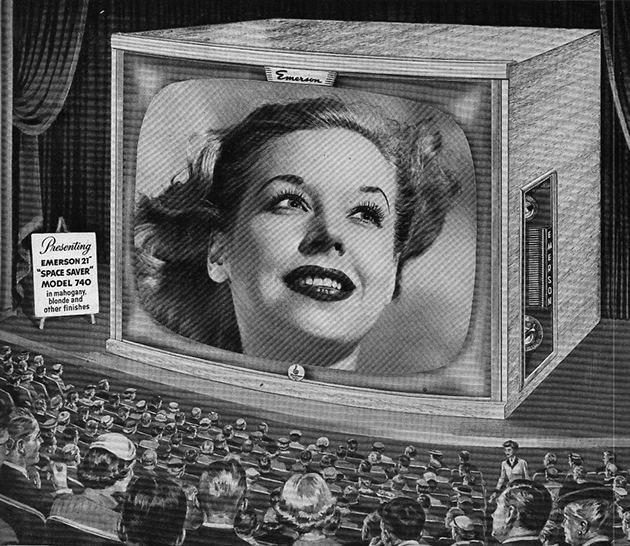 One of the problems of arriving in a new television culture is that of learning how the interstitials work – what they are trying to tell you; how they interlace with the programmes; how they shape the spaces that the programmes occupy; and how they build anticipation and delay into the development of those programmes. It can take an appreciable amount of time to become a skilled viewer as a result." "Notts TV Ltd is a consortium led by Confetti Media Group, Nottingham Post Media Group, Nottingham Trent University and Inclusive Digital Ltd. Together the group has the skills and experience needed to run a TV station for Nottingham – including expertise in TV news, launching and managing TV channels, local journalism and programme production, technical and engineering issues, advertising and marketing, education and training. 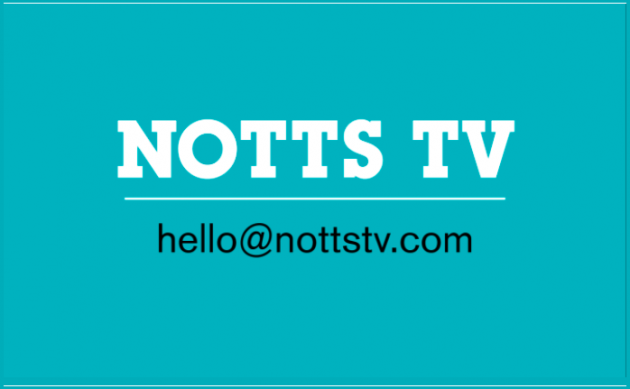 Notts TV provides Confetti students with a great opportunity to work in a real TV environment, providing content and programming for news, sport, business, politics and a range of issues that matter to local residents. The station will utilise the news reporting expertise of the Nottingham Post Group and involve students from both Nottingham Trent Universities' Centre for Broadcasting and Journalism and Confetti Institute of Creative Technologies."